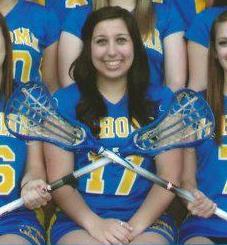 Madison Casey was an amazing lacrosse player, coach and friend of the club. She selflessly devoted so much of her time to enrich the lives and lacrosse experience for all ages of the girls in the program. Madison had an infectious smile and girls who were coached by her were touched in the most profound and positive way. This award (and scholarship for seniors) has been established in her honor. The criteria for this award is having a positive attitude, possessing lacrosse skill, displaying leadership, sportsmanship and solid academics.